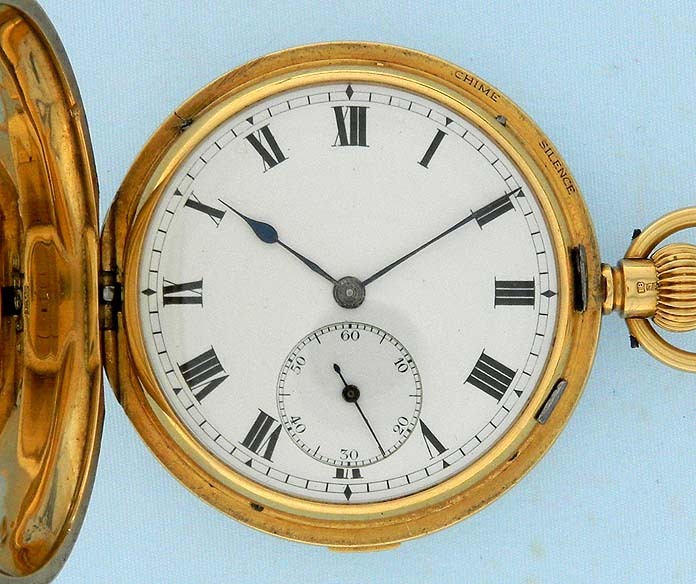 Very fine and very rare small Swiss 18K gold grand sonnerie carillion striking minute repeating antique clockwatch circa 1915. 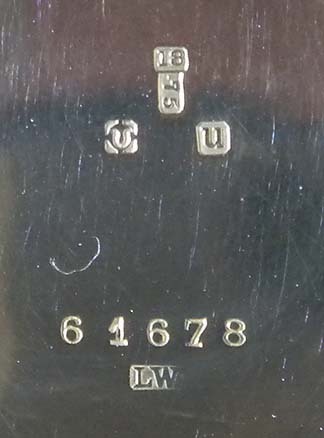 Fine plain polish case with the London import mark for 1915. Fine white enamel dial with bold black numerals and blued steel hands. Strike/Silence selection lever at the edge of the dial at 1:00. 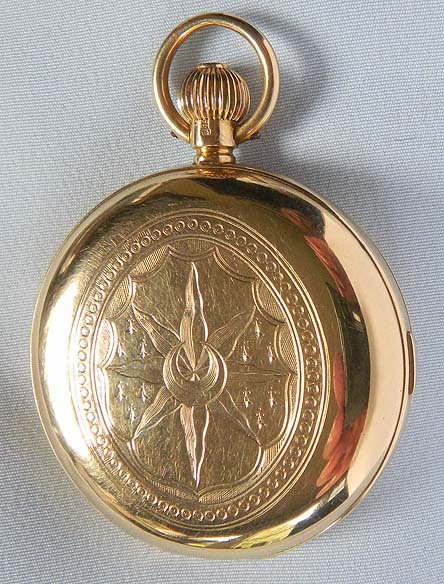 Fine frosted gilt tandem wind approximately 27 jewel Zenith pattern movement jeweled to the center and the hammers. With the selection lever in the Strike position this watch automatically chimes the hours and quarters every 15 minutes. This means that 1:15 has a different chime than 2:15. 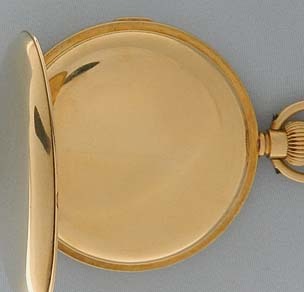 When the button in the band is depressed, this watch chimes the hours, quarters and minutes with a lovely clear chime. Most striking watches sound the quarter hours with two hammers on two gongs. 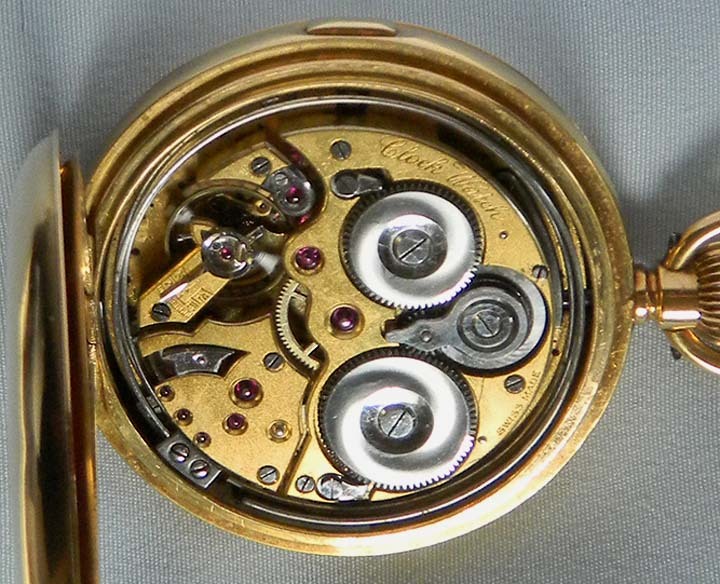 This watch has three hammers and three gongs for the carillion quarter striking. 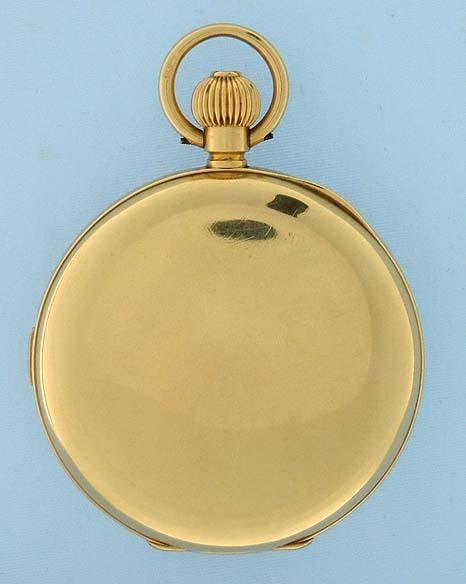 This is the smallest clockwatch we have seen.